For Stephen Wallack April 1, 2019, was a pivotal moment in his life. He released his first recording Chapters. He looks at his life as a story that has unfolded in different Chapters, and now his music reflects that outlook. Stephen, I can tell you the right person is hearing everything you are saying in your biography and in your music. The spontaneity of a first listen launches my inspiration to talk about music and with Stephen’s music, it was an easy task, a natural flow of feelings. For this music fan, that is the very process that keeps the blood pumping and my fingers moving to type these words you read. Music keeps me alive 24/7 and at times makes me feel like I have already reached heaven. For instance, “Cooper’s Song” is about the passing of a friend and you can feel the pain and sadness in the voice of the music. I also got a chill knowing that person’s spirit lives on through Stephen’s music, what a blessing to feel that and really hear the emotion of a song without words. It is indeed a beautiful thing that anyone can experience with the right mindset before you decide to hit “play.” There are many uplifting tracks on this release, however I thought mentioning the pure emotion of “Coppers Song” was a very good example of how powerful this music can be. A lot of this instrumental piano-based music is thriving as a sub-genre of new age. This is for a good reason; it is very spiritually based music that touches the very soul of the listener. The individuality and on purpose simplicity are the strengths from which each story is composed then played through the fingers of an artist. In this case, it is Stephen Wallack that brings us all to that place we love to go, another dimension, space, feeling, emotion, or whatever you want to call it. This is what changes our view of our surroundings and the people in our lives. 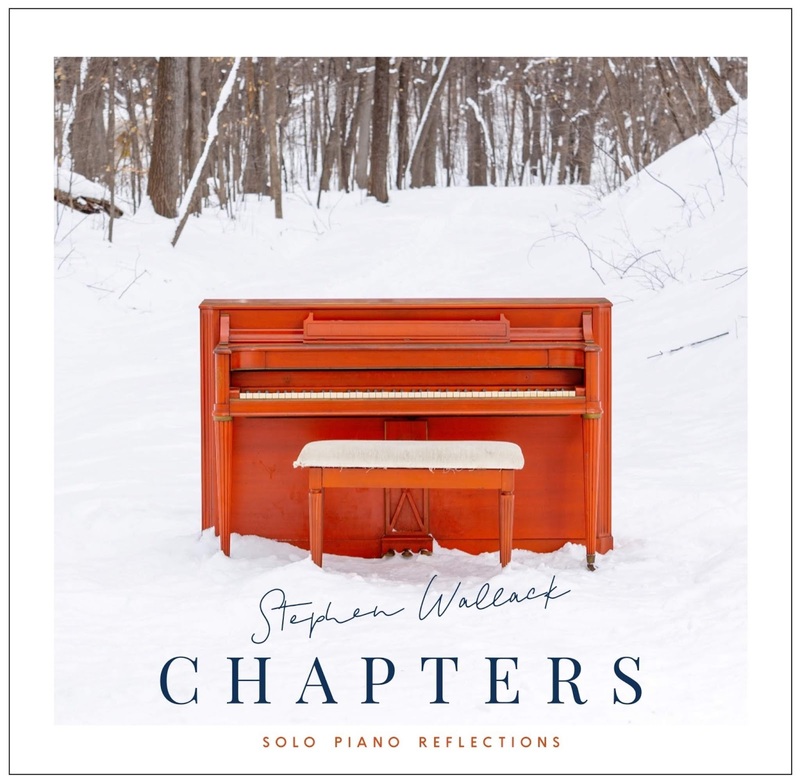 Stephen mentions hearing George Winston’s classic piano instrumental album December when he was 12. I happen to love that album and after hearing it sought out more of the same. So right at the start of listening to Stephen’s music, I felt a connection that helped me to instantly bond to the sounds, vibrations, and colors he offered within the 10 tracks of Chapters. Let Chapters into your life and write your own story to the music. This is a great tool for clearing the mind and to focus while de-stressing every second of the way.